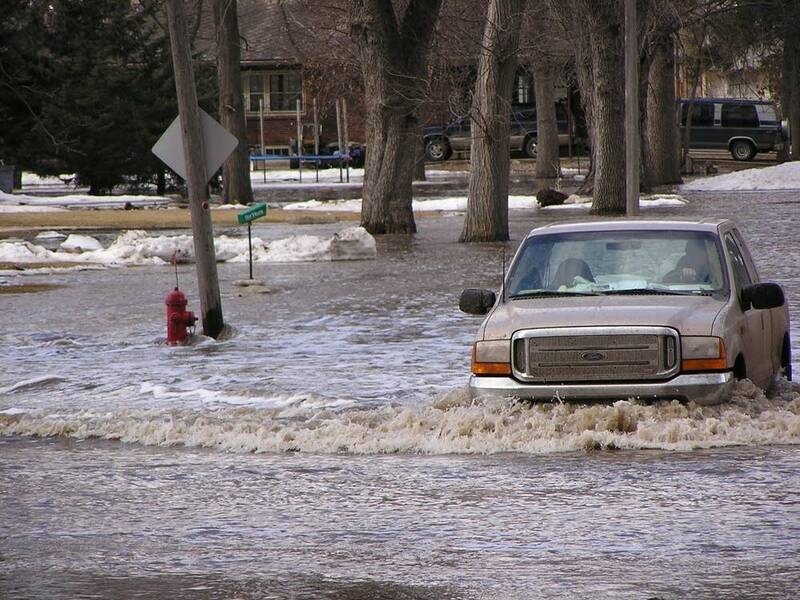 City officials are confident Minnesota Governor Tim Pawlenty will declare the town a disaster area after he visits the area tomorrow. 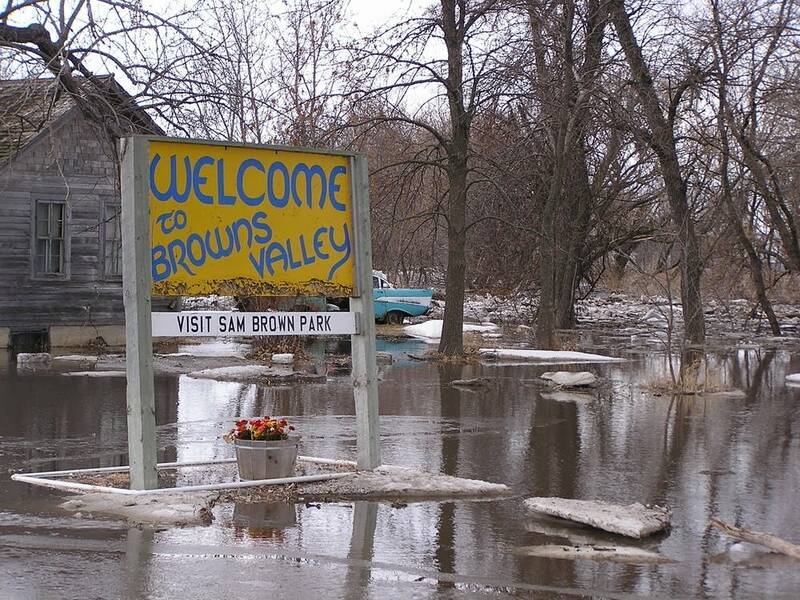 However some Browns Valley residents aren't happy that the governor's visit is coming almost three days after the town flooded. Vicki Powers is hacking away at the frozen contents of a deep freeze at her Browns Valley home. Moments earlier relatives helped her right the appliance which was tipped over on the floor of her muddy garage. "And there was so much water, it floated and flipped over," she says. "The vacuum packed stuff we've been able to save, a few pork chops and that's about it." 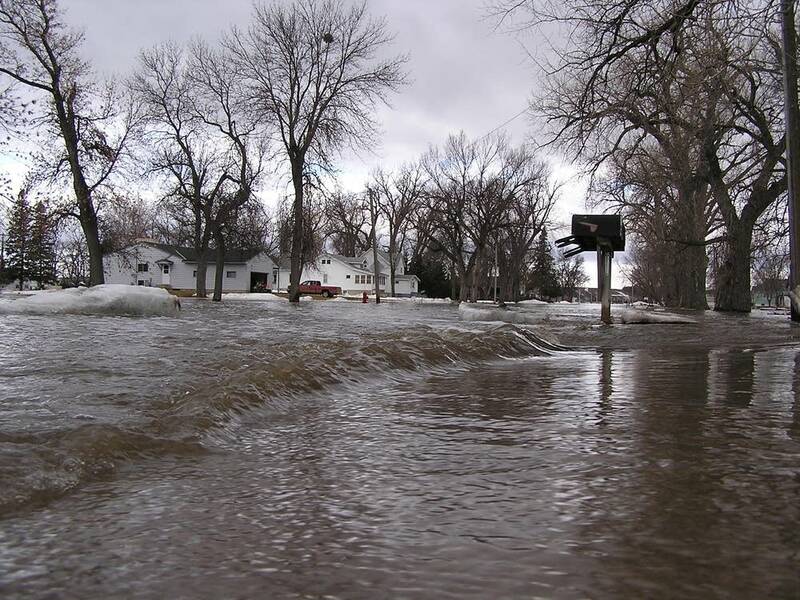 Flood waters from the nearby Little Minnesota River made a mess of her garage and destroyed everything in the basement. But Powers says she's lucky because the water didn't make it into the first floor of her house. Her parents who live a few blocks away weren't so lucky, they lost everything. 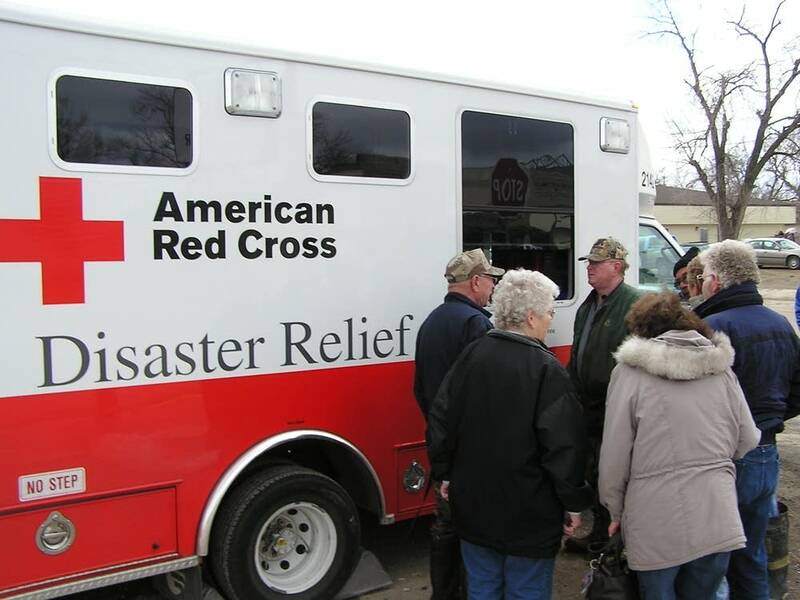 They were just down the street eating a lunch provided by the Red Cross. Bill Spotts says he put on hip waders a few hours ago and went through his front door, only to find furniture and appliances floating in the house. "I know we gotta throw all the furniture away, and I've got two garages and all that stuff," he says. "It's ruined, we'll just have some people look at the house afterwards and see what they think about fixing it up." Spotts and his wife have been married for 60 years, 55 of those years were spent in their now flooded home. Bill says they'll wait to see what help is available to them. They don't have flood insurance, and they're not sure what help they'll get from the Red Cross or the state and federal government. Flood or no flood, lunch is still on at the Traverse Cafe in downtown Browns Valley. There's lively discussion in a corner booth about the aftermath of the flood and governor Tim Pawlenty's Friday visit to town. Jim, who lives just outside of Browns Valley, didn't want to give his last name, but says he's mad that while the community is dealing with flood clean up today, Pawlenty is in Iowa stumping for presidential candidate John McCain. "And we have every reason to be mad," he says. "These politicians come out here they get their pictures taken and they go back to the capital building and a week later it's all forgotten, nothings ever done about it,"
"He should have been here yesterday!" another man chimes in from across the room. In Iowa, Governor Tim Pawlenty told Minnesota Public Radio that he was in contact with Browns Valley officials and planned his trip according to the community's needs. "We were willing to cancel this trip and was prepared to do that," Pawlenty said. "And had there been any indication that my presence was needed there we would have gone last night or today. But the indications were the evacuation went well. The situation was addressed, the waters were receding and that visiting on Friday in terms of the state assistance on a going foreward basis would more than meet the needs of the local officials." The mayor of Browns Valley also says the governor's Friday trip is all about timing. Jeff Backer says if the governor would've have visited earlier, the community wouldn't have had a grip on the total flood damage. "Yesterday we were still somewhat of the emergency, today is the first day of the damage assessment, and if we have that information we're going to be better help the community when the governor comes tomororw, I have no problem with it whatsoever, and I think it's great that he's coming period,"
Governor Pawlenty is planning on taking a tour of the flood damage on Friday afternoon, then he'll meet with residents of Browns Valley.